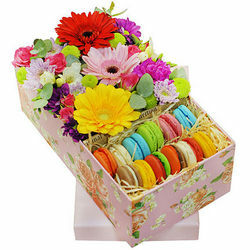 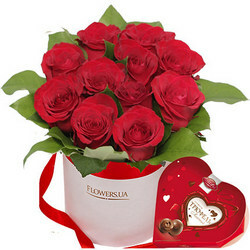 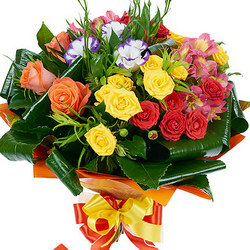 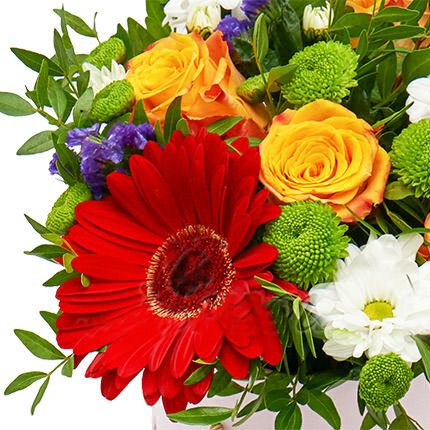 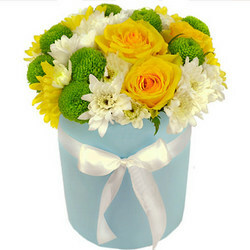 Sunny composition will convey your warm and sincere congratulations to dear person! 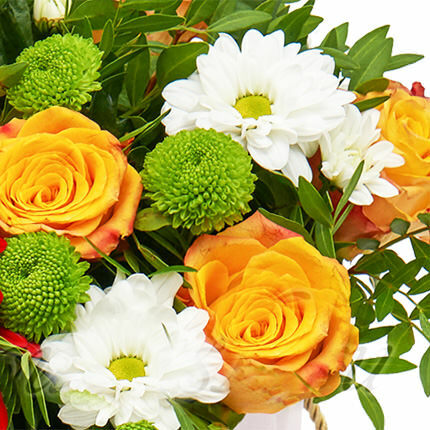 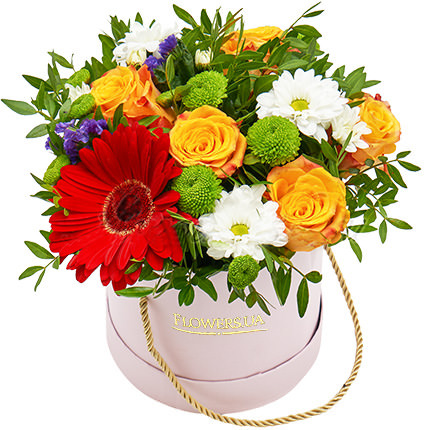 Composition: 5 yellow roses, 2 branches of chrysanthemum, gerbera, greenery, decorative gift box, floral material. 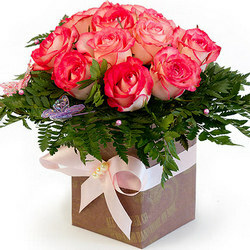 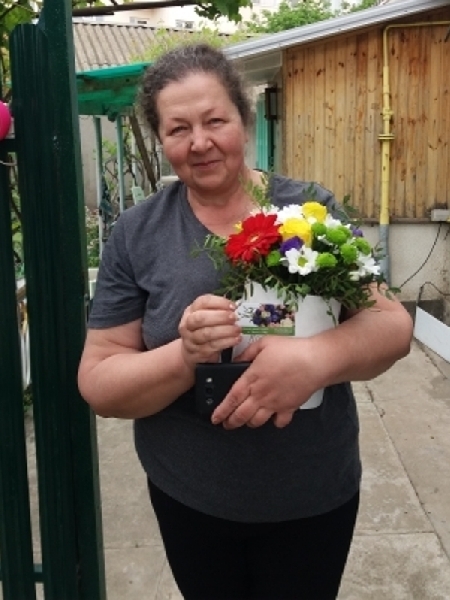 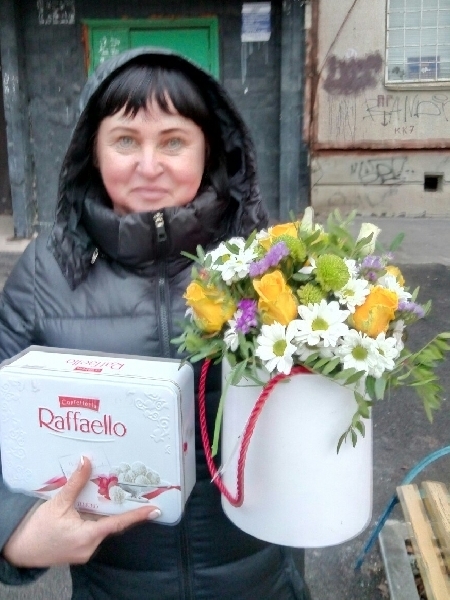 Composition in a box "Romantic France"
Flowers in a Box "Congratulation"
Flowers in a box "Delicate silk"
20032019 © Flowers.ua Composition in a box "Soul warmth"